62 % of adults in the United States celebrate the holidays. 58 million pounds of chocolate candy are bought during Valenties´s day week. 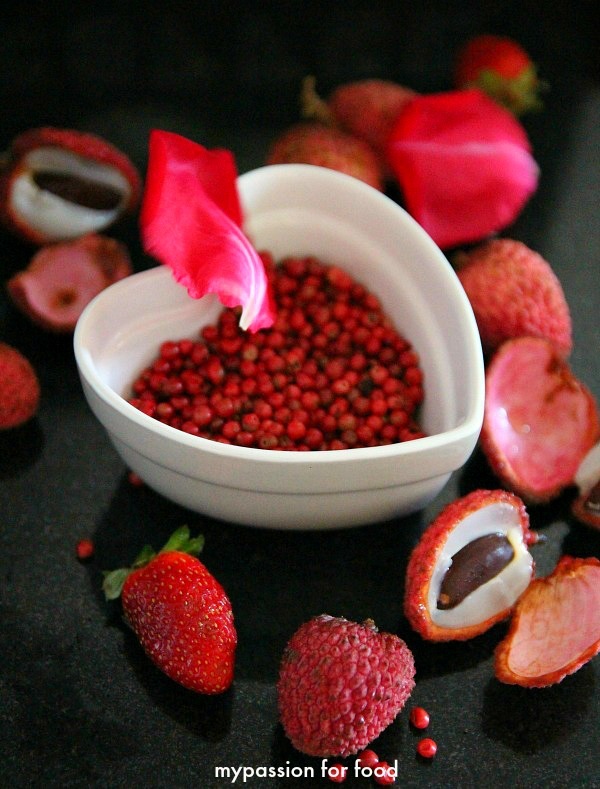 This time I will celebrete Valentine´s day on the beach with my friends drinking delicious Strawberry Coctail with Litchi and Rose peppercorns. I tried it before at the restaurant La Grassa in Sao Paulo and since then I dreamed about doing it by myself. I hope you will like it and can do it for your "valenine". Enjoy and wish all of you lots of love. Thank you Bori for a great time in La Grassa, every time I will drink Strawberry Cocktail I will think about you. 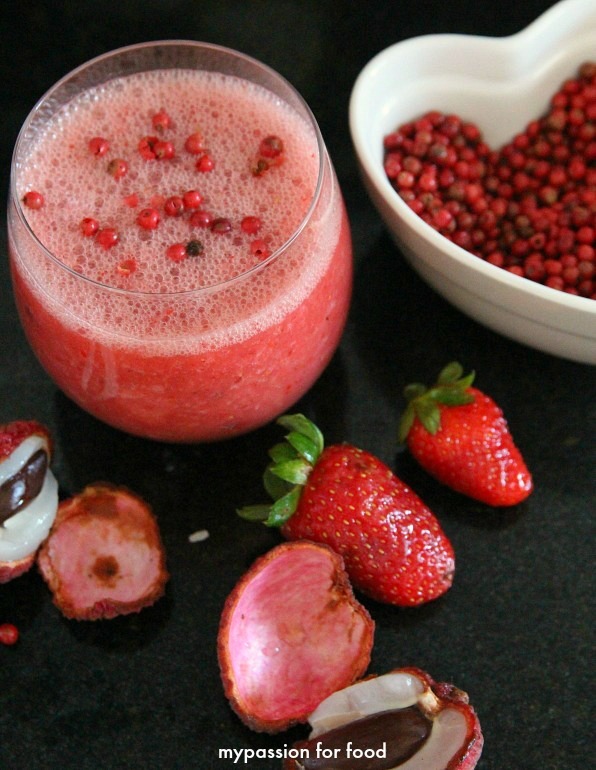 Mix strawberries, litchis, honey, mineral water and 15 rose peppercorns in a blender. 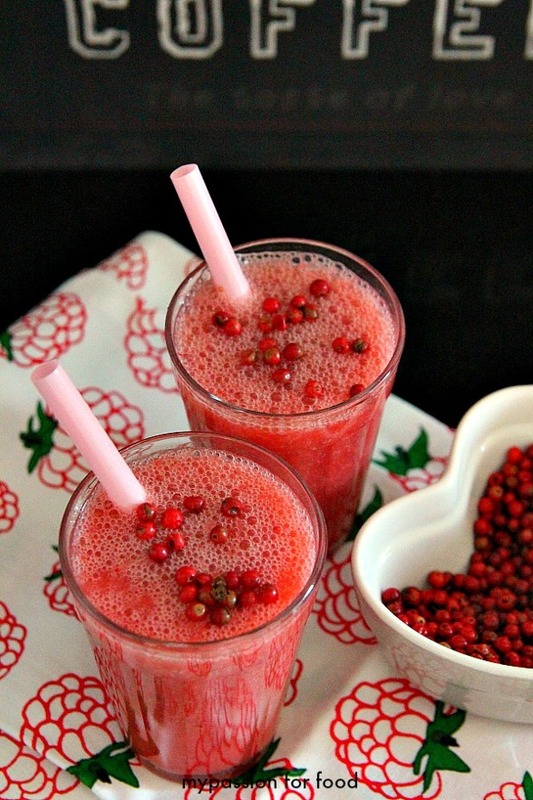 Serve up in a glass and garnish with pink peppercorns. 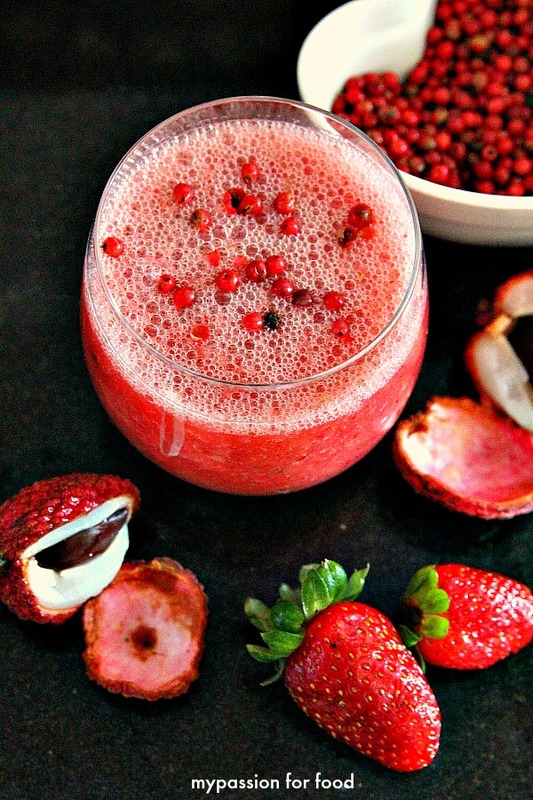 If you wish you can add vodka.